CELEBRATING ITS 30TH YEAR IN PUBLICATION! The Herb Quarterly brings readers the joy of herbs with each new season. Each issue introduces new herbs, provides tips on hard to grow varieties and brings you the latest info on medicinal herbs and remedies. 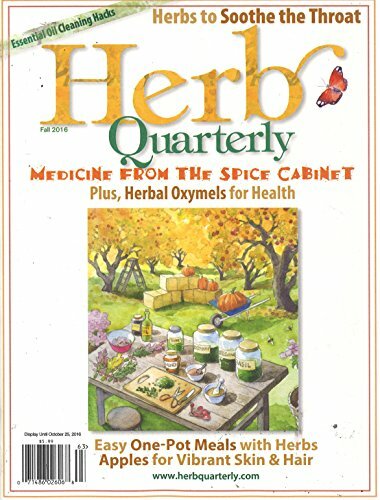 Founded in 1978 and published four times a year, The Herb Quarterly brings readers the joy of herbs with each new season. Each issue introduces readers to new herbs and fascinating herbal lore; provides tips on hard to grow varieties and medicinal; showcases gardens from around the world; and tempts the palate with seasonal menus and tantalizing recipes built around herbs and edible flowers.